It’s a bit complicated, selling a home in Northeast Florida. Although you can make a case for the feasibility of doing the whole thing yourself, there are enough areas of knowledge where experience, expertise, and even licensure are recommended that few would ever try it. It’s quite a good idea to have a professional inspection performed at your property before selling a home. In addition to any major issues that could affect your smartest listing price, you want to be made aware of any minor issues before buyers come across them. Sometimes small details that are easy to fix can upset timing and even derail a deal entirely. 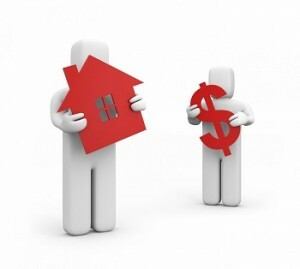 As a seller, you shouldn’t try to value your property blindly. To do so runs the risk of over- or undervaluing it—and a smart listing price is a key element in the successful selling of a home. Your agent will give you key guidance on pricing. However, having a professional appraisal performed in advance can help support your price to potential buyers (especially if you are asking a high number that could be difficult to otherwise support). While the buyer’s bank will require their own appraisal, the money spent here in advance can help speed up the offer and/or negotiations. The most difficult part of selling a home is finding and attracting a serious buyer. Fortunately, this is a burden your Northeast Florida real estate agent will shoulder for you. But before everyone has signed on the dotted line, it’s important to understand what the financial and tax implications will be once you’ve sold. If you have gains, you want to know how much—if any—tax burden it will trigger. If there is a loss, you’ll want to know how to turn that to your advantage. Either way, knowing the tax implications before you list may well affect the price you list at or will accept.